Last month I was so delighted to have been shortlisted for the Bath Novella-in-Flash award. My novella, At the Bottom of the Stairs, was one I wrote over the last half of 2018 and a few weeks after the shortlist was released I am still pinching myself that I was on it! You can read about the overall winners here. A novella-in-flash is a very short book where each chapter is under 1000 words and contains a little mini-story in its own right, as well as contributing to the overall narrative of the book. 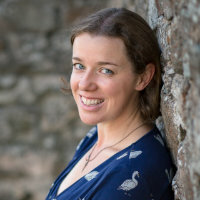 It is a new-ish form of writing to be officially recognised (although of course people have written this way for decades), but is set to become more prominent thanks to Bottled Goods by Sophie van Llewyn which is currently longlisted for the Women’s Prize. The Bath Award is very highly-thought-of in the writing community and it was such an honour to be listed there as one of the top 10. After years of trying to write a second novel and failing miserably at it, At the Bottom of the Stairs was an absolute joy to write. Flash fiction has become my favourite form of story to create, and to be able to thread lots of stories together to make a longer work was my idea of the perfect project! The usual moments of frustration and angst aside, I took so much joy in writing it. When I’d finished it I knew that although I would like to work a little more on it (the competition deadline caught up with me!) it was the work I’m most proud of having produced. The most exciting thing for me is knowing without a doubt that I couldn’t have written this five years ago. Despite everything, my writing has developed massively in my years of concentrating almost exclusively on two small children. The failures were not wasted and the successes hard-won. I look at my novella and have the satisfaction of knowing that I worked hard for it! I wasn’t one of the winners of the Award, but the associated publishing company have expressed an interest in publishing my novella anyway if I can work on it a little more. I hope to work with the judge of the competition in his role as a writing tutor and editor on working out how to edit it ready for publication. All of which is very exciting! If you have a futher five minutes indulge me by reading the judge’s report on picking the shortlist here. It explains how he came to choose our ten novellas and makes me so happy to read! If ever I need to remember that I can sometimes get the right words in the right order, I’m going to read this!